Lizzie1789 gave this 5 stars! 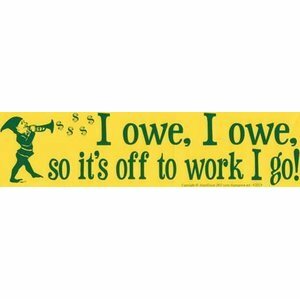 This classic bumper sticker offers a play upon the song from the animated Snow White movie, displaying the words: "I owe, I owe, so it's off to work I go! So funny and all the these bumper stickers are such a great price!